Yesterday we brought you some pictures showing off the first look at the Potters and the Granger-Weasleys in the upcoming play Harry Potter and the Cursed Child. 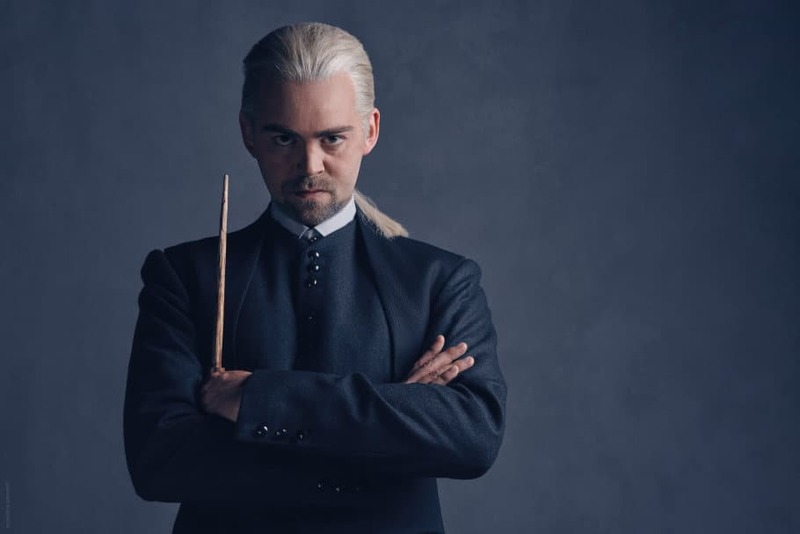 That’s all well and good, but it just wouldn’t be Hogwarts without a Malfoy lurking about, and so today, Pottermore has a few more pictures to show off. So, there are your Malfoys. 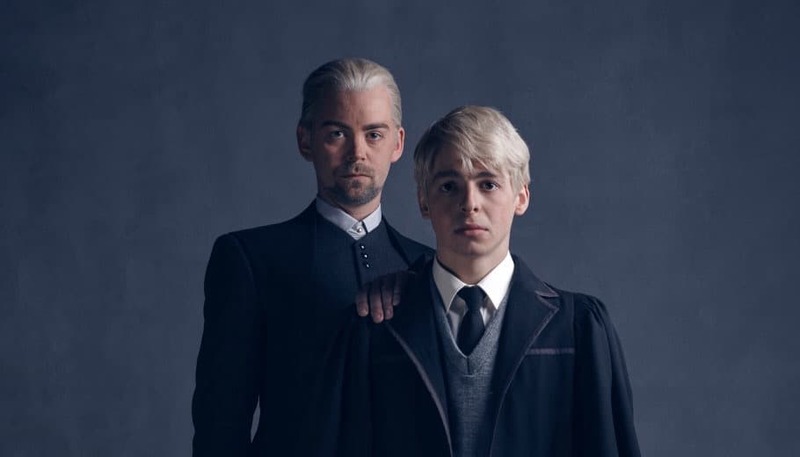 Draco is looking quite like Lucius meanwhile Scorpius looks just like his old man did. I suppose things never really change for the Malfoys. 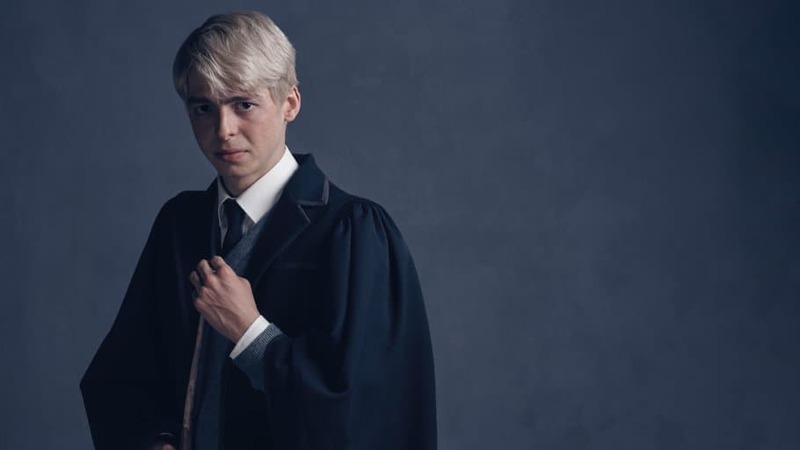 I’m curious to see, though, whether Scorpius is an antagonistic force like his father was or if we’re going to have a more sympathetic Slytherin character this time around. On Pottermore, Rowling indicates that after the Battle of Hogwarts Draco turned over something of a new leaf. He abandoned the strict pure blood doctrine of his parents and even instilled some level of tolerance towards Muggles in his son. Who knows? Perhaps Scorpius will tag along with Albus and Rose, forming a new trio not unlike the one from the original stories. The first public previews will be upon us shortly meaning we should start hearing reactions to this show in the near future. As I expressed yesterday, I’m extremely curious and somewhat trepidatious about this play. Returning to this world with these characters could be a bit mistake, but I’m really hoping this lives up to the legacy of quality established by the Harry Potter stories. It’s such a unique and cool idea to make the continuation of this story not just another book or another movie, but to leap into a different medium entirely and tell the story in a play. That’s exciting and I hope it works out! If any of you are reading from the U.K. and planning to see this, report in and tell us how it is. Here in the states, we’ll try to get by with reading the script.